Haihaisoft is core Digital Rights Management technology provider since 2004. Xvast is a fast and secure browser, it also support open DRM-X 4.0 protected web page, audio/video and PDF. It is based-on Chrome core. It’s a clean browser includes Playlist feature, and support Windows, Mac, Android, iOS. Haihaisoft redesigned security architecture for DRM-X 4.0 with higher security standards, the encryption method is completely different from DRM-X 3.0. With new Xvast Packager, the encryption is more complex and strict than before. It makes hacking protected files much harder. New Cross Platform HUPlayer Released! HUPlayer is a powerful cross platform & cross browser media player which supports playing most popular formats (FLV, WMV, MP4, WAV, MP3, RMVB, AVI, MPG, 3GP, MOV) and DRM-X 3.0 protected files. Now available for Windows, Mac, Android, iPhone and support cross browser. It also offers as Android DRM and iPhone DRM. It's a free PDF Reader, with extremely fast launch speed. It is also for reading PDF protected by DRM-X. In order to meet the requirements of DRM-X on mobile equipment for the enterprises. 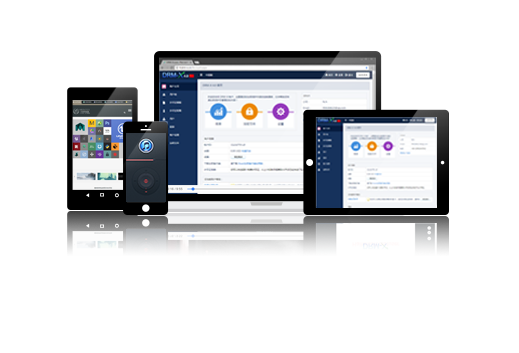 Haihaisoft provides the customization service of Xvast browser, HUPlayer and PDF Reader for Mobile and Embedded Devices. The Haihaisoft automate batch encoding solution is a server side universal batch media encoding solution, which nicely integrates most popular audio/video codec and tools into an all-in-one solution. The Haihaisoft automate batch protect Audio/Video solution is a server side encrypting media files solution, which nicely integrates your websites enables protect the media files in immediately after content owners uploaded. The Haihaisoft automate batch protect PDF documents solution is a server side encrypting PDF files solution, which nicely integrates your websites enables protect the PDF files in immediately after content owners uploaded.